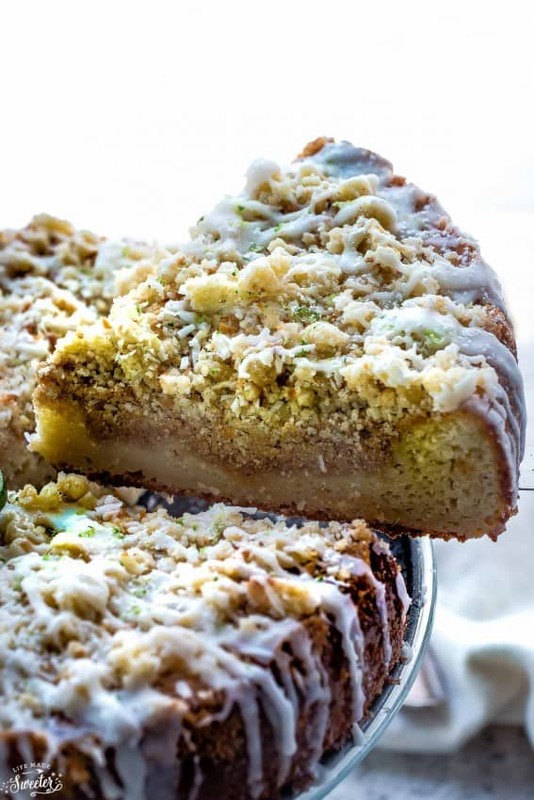 Key Lime Coffee Cake made with a buttery streusel topping & white chocolate drizzle makes the perfect breakfast or afternoon snack. It’s National Coffee Cake today so I brought along this Key Lime Coffee Cake to celebrate with my fellow #FoodHolidayBloggers again! 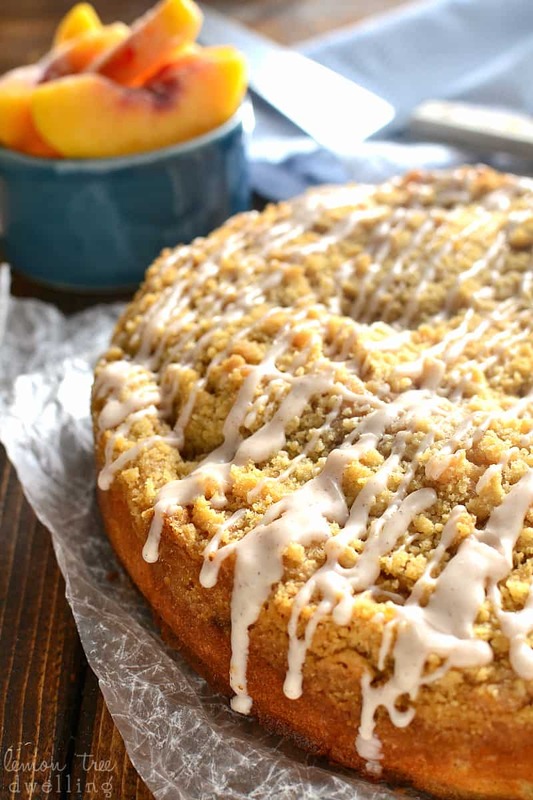 I am such a big citrus and coffee cake fan and was so excited to share this recipe. 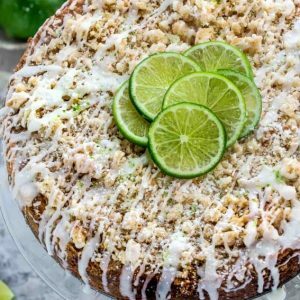 This Lemon Coffee Cake is a favorite at our house and I’ve been wanting to make a key lime version for quite a while. 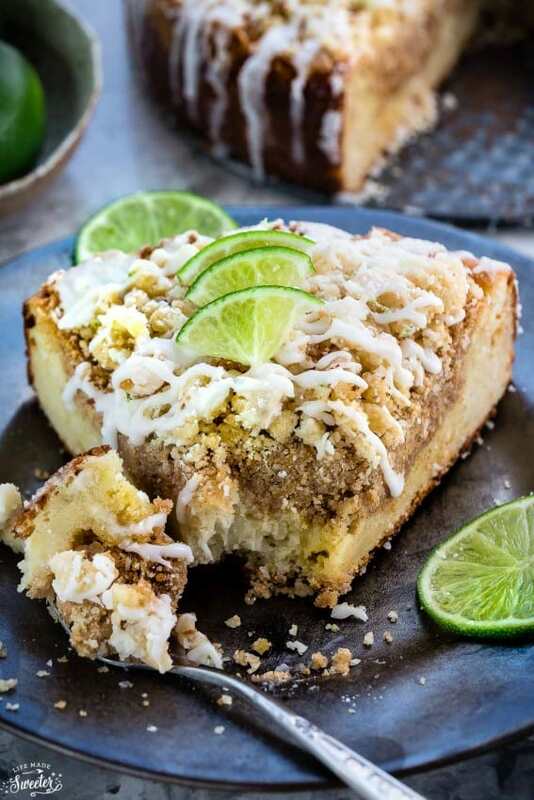 So I did a quick search on Google and Pinterest for “Key Lime Coffee Cake” and surprisingly, there were ZERO. 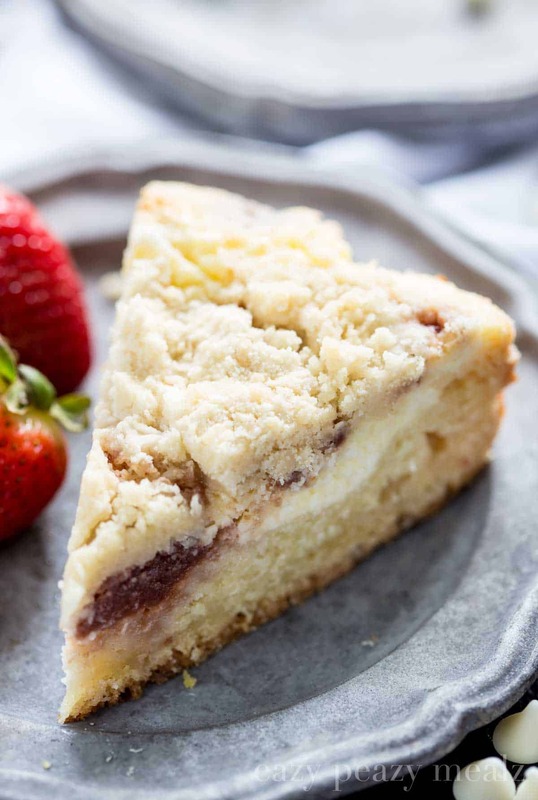 I found some layered cakes and crumb cakes but no “Key Lime Coffee Cake” so I totally went with it and I’m so glad I did because it was a hit with my family on Easter! Even my mom who doesn’t usually like sweets went back for seconds! This cake is so simple to make too and best part of all is you won’t even need a mixer! It has a thick buttery crumb topping and bakes up nice and moist with Greek yogurt, buttermilk and coconut oil. There’s also a smidgen of shredded coconut sprinkled on top to give it a tropical feel because I am definitely dreaming about sunshine and warmer weather. 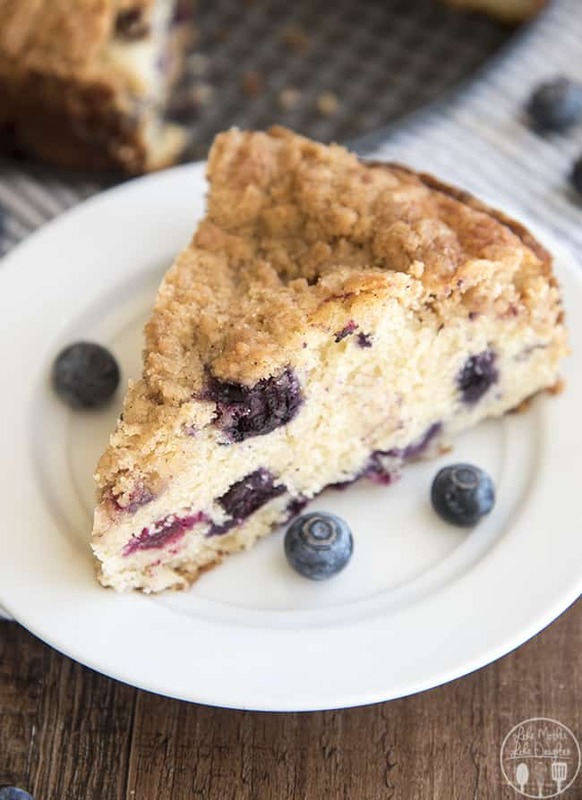 It makes an awesome breakfast or an afternoon treat and perfect for the coffee cake lovers in your life! Preheat oven to 350°F. Coat a 9" springform pan or a 9" x 13" square pan with nonstick cooking spray. To make the streusel: Stir together flour, sugar, and salt together. Cut in the cold butter using two forks or clean hands, then add the lime zest and coconut, if using. For the cake: In a medium bowl, whisk together flour, baking powder, and salt; set aside. In a large bowl, beat together the eggs, then add sugar and mix until smooth. Add Greek yogurt, key lime juice, zest, vanilla, oil, and buttermilk, beating well after each ingredient. Gently fold in the flour mixture, stirring until just incorporated. Be careful NOT to overmix. Scrape batter into the prepared pan and smooth the top. Sprinkle streusel evenly over the batter. 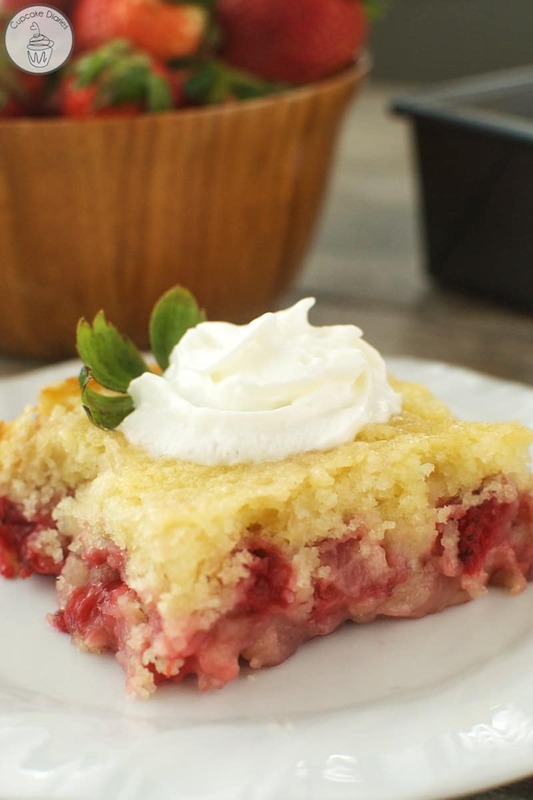 Bake in preheated oven for 45 to 50 minutes, or until a cake tester inserted into the center comes out clean. Allow the cake to cool in the pan for 30 minutes before removing the sides of the springform pan. After 30 minutes, transfer to wire rack to cool completely. 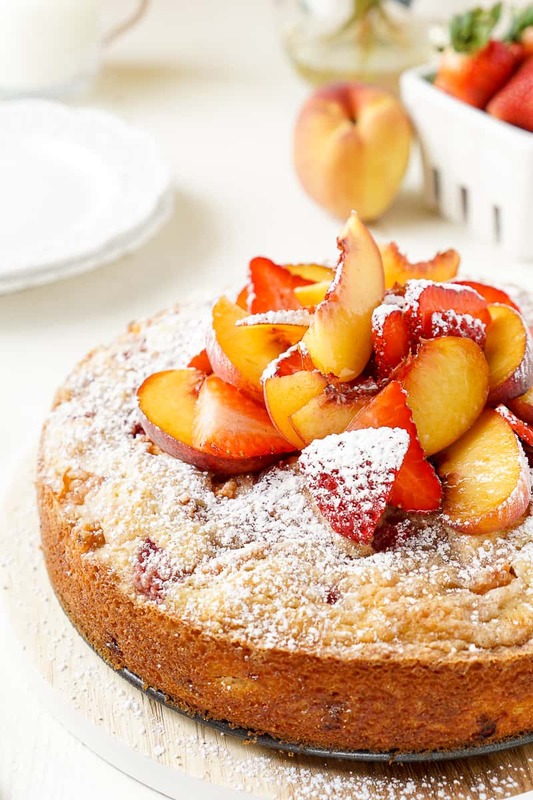 If you've baked the cake in a 9" x 13" pan, serve it right from the pan. For the white chocolate glaze: Combine butter and white chocolate in a microwave-safe bowl. heat on high, stirring every 15 seconds until smooth. Gradually beat in powdered sugar and milk until desired consistency. Drizzle over cooled cake. Not only have I not had key lime pie before, but I have never had coffee cake either. Clearly I need to try this. I had no idea it was National Coffee Cake Day! This cake is just perfect, Kelly! I wish I could dive right into this for breakfast. I love the key lime flavor! So perfect to welcome spring with! This sounds like heaven! I love lime and white chocolate, so this combination will be lovely I’m sure! I am definitelyyyyy a coffee cake lover!!! haha The crumb topping is the best! And this flavor sounds so different and delicious!! I love it! Hope you’re having a great week Kelly!!! 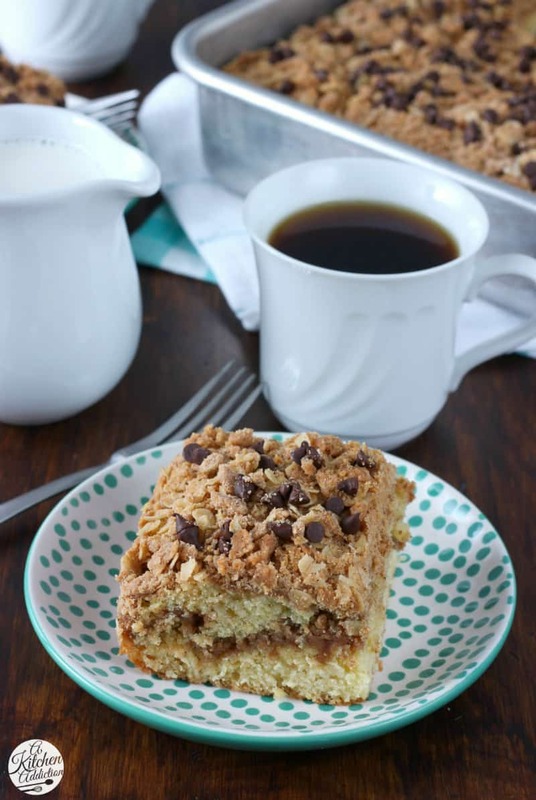 Holy smokes, this coffee cake looks so good! Love the key lime and white chocolate combination. I could see this getting devoured in no time at my house! What a great flavor for coffee cake! Love all that streusel! This is the BEST idea. It looks and sounds so, so delicious. And don’t you love when you have a recipe idea and realize nobody has done it before? 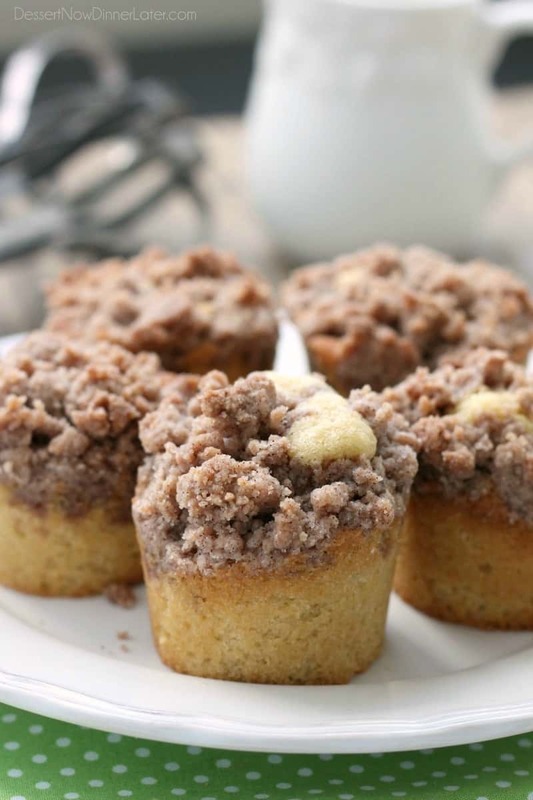 I love anything with streusel! This is one great coffee cake, Kelly. Well thank YOU for thinking of this! I love key lime and to have a key lime treat for breakfast with my coffee sounds like the best way to start the day! 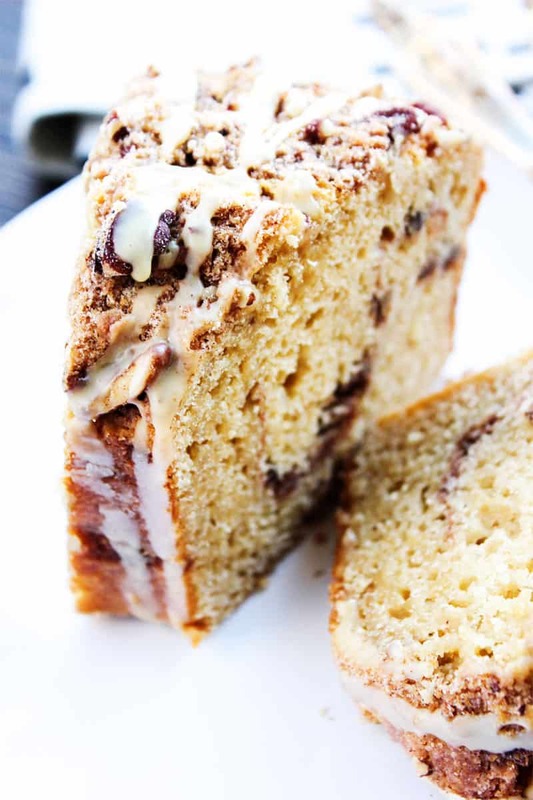 This coffee cake is so gorgeous, Kelly! 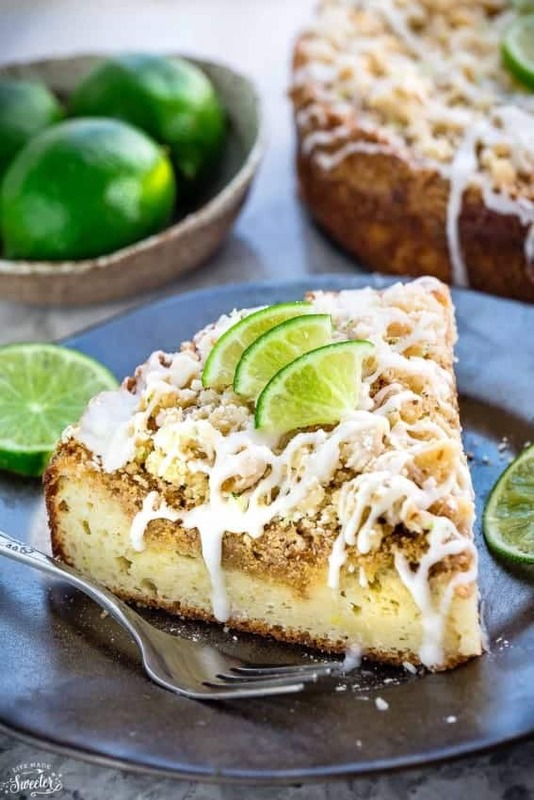 What a delicious kick to coffee cake – key lime! This looks absolutely scrumptious! 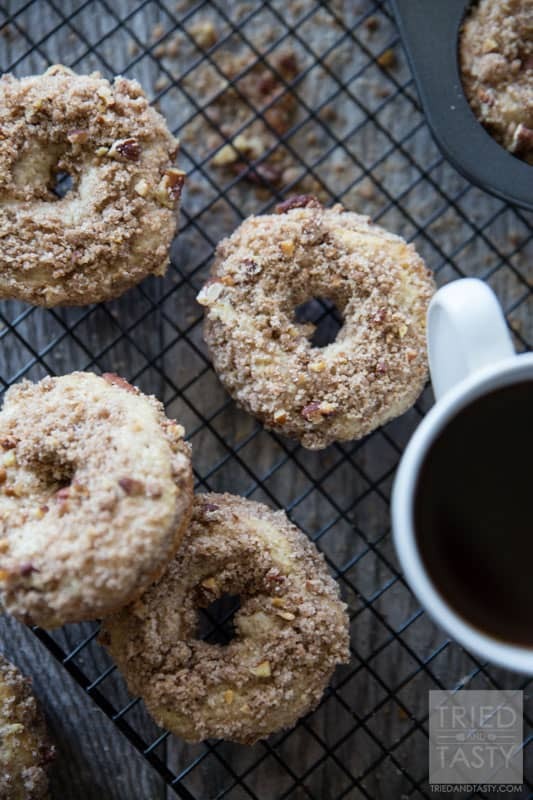 I wish every day was National Coffee Cake Day! 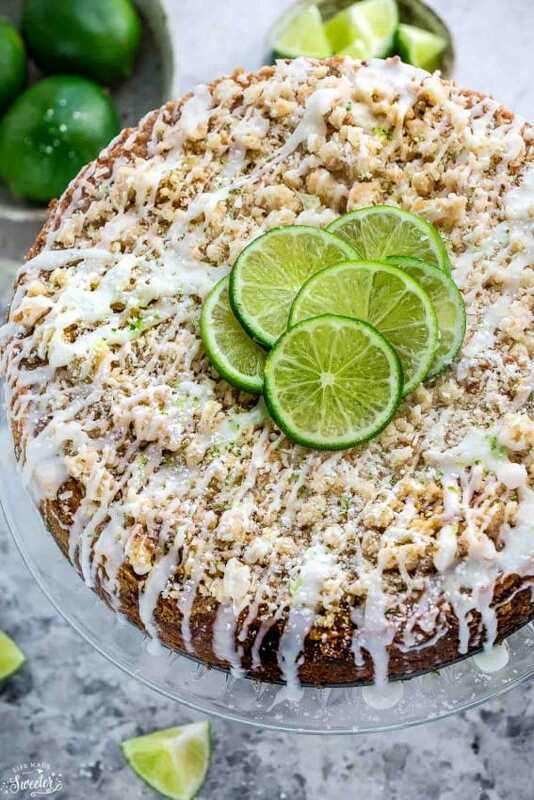 I need an excuse to make this key lime winner again and again! Oh I love this combination! 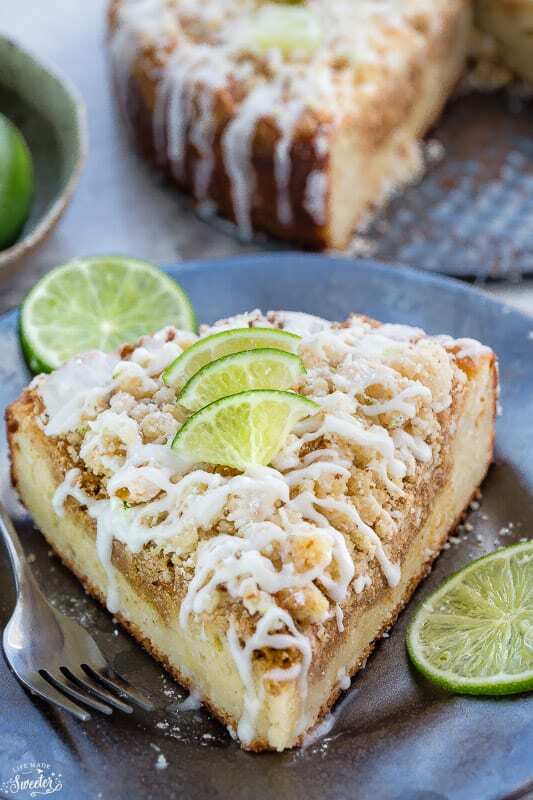 Key lime and coffee cake, what a perfect way to celebrate National Coffee Cake Day! The cake looks stunning Kelly! Wish I had a slice right now! I’ll take these for breakfast any day!! The key lime makes me happy! Wow there really is a day and celebration for everything. SUCH a delicious cake and flavour combination. 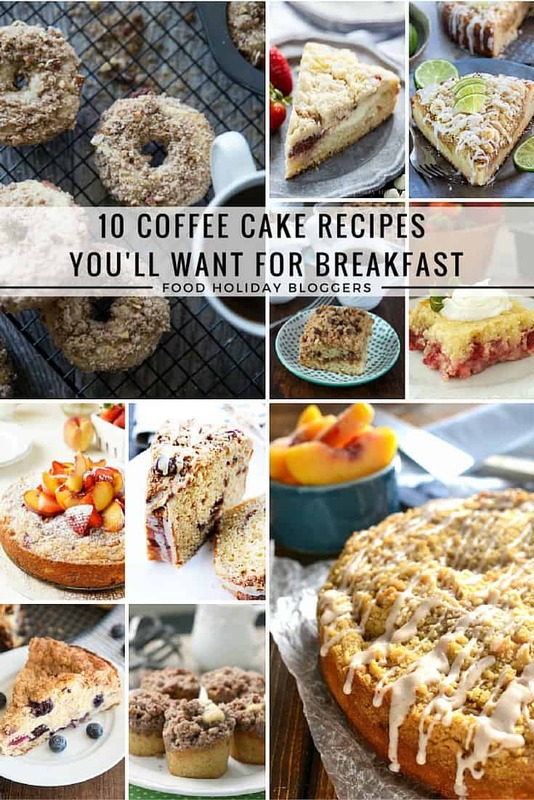 That coffee cake is everything. How much I would love to have a slice now, looks and sounds so good Kelly. What a yummy breakfast! I can see why your mom came back for seconds! Oh MY goodness! I am so in love with this….what an awesome flavor to wake up to!!! Hi Kelly, there is nothing like a nice piece of coffee cake with a cup of coffee or tea. Love the flavor combo you created, I can see why your mom went back for seconds.